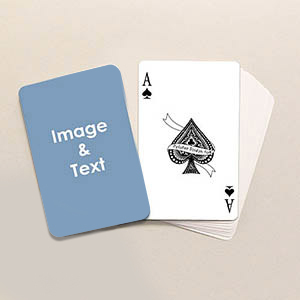 Choose our most popular sized playing cards, 0.25 inches wider than bridge sized cards with loads of templates to choose from. 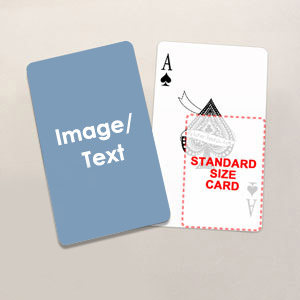 Standard sized bridge playing cards measures a quarter of an inch narrower than the poker sized cards. Comes with free plastic case. 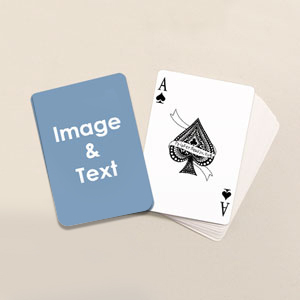 If you like things small, try our new personalized mini playing card decks. 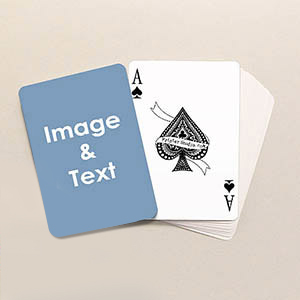 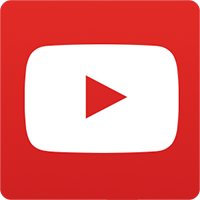 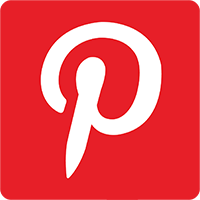 If you need something bigger, choose our large sized cards which are 50% larger than poker sized cards.